He dived into the sunroof of my dad’s car like a shark attacking his prey. I was paralyzed from fear as a stranger exclaimed “gimme my money!” over and over again while grasping for my father’s neck. At four years old, I rarely spent time with my dad, especially not alone. My grandmother was worried and repeatedly called my father’s car phone as I patiently waited for the Happy Meal that he’d promised. However, instead of a trip to McDonald’s, I spent the day sitting still as a statue while my father drove from place to place searching for illegal drugs. Don’t ask me how I knew we were on a mission to feed his cocaine addiction. I just did. On our last stop, we pulled up to a convenience store with yellowed windows, when an older guy, missing teeth, with Rambo strength tried to collect on what was evidently my father’s unpaid debt. I was tired (of course I’d missed my nap), hungry (I’m still waiting on that Happy Meal) and petrified. Not only had I been driving around for hours in a car with a man I barely knew whose face somehow matched mine, but I was for the first time in intimate quarters with physical violence. “Stop, you’re scaring my daughter!” my dad yelled trying to push his creditor out the too small sunroof. Shockingly, the stranger stopped, looked me in my eyes and said, “baby, am I scaring you?” Too afraid to admit that I was afraid, I slowly shook my head no. Prompting him to continue his assault until my father could wrangle his light skin, pale eyes, dirty hair and tattered clothing completely out the car. We drove off and never spoke about the incident, leaving me to process the trauma alone. That day thirty years ago shaped my life. Through years of therapy, I now realize my interactions with my father while he struggled to overcome addiction, especially the violent occurrence at the convenience store, caused me to become less innocent, less trusting and less vocal. Most notably, I became too quick to suffer in silence. Like a balloon slowly deflating, my spirit shrank in a world where the adults charged with protecting me were allowed to fail. In a world where violence and untreated addiction disproportionately affect communities of color, my story is not unique. 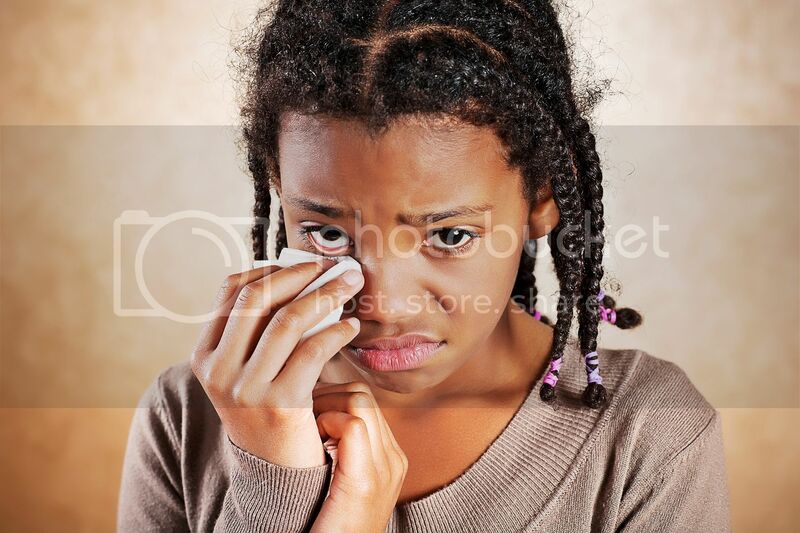 Black girls are victims of historical trauma caused by interpersonal and systemic struggles. Daughters of the enslaved, nieces of the lynched, sisters of the incarcerated, our journey into womanhood is fraught with a load that’s often too heavy to bear. Not only are we intimately connected to Black male oppression, but our own oppression is intersectional, facing both sexism and racism at the least. The weight of Black girlhood came crashing down on four-year old Daeanna when her mother’s fiancé, Philando Castile, was killed by a Fairmont Heights, Minnesota police officer before her eyes. Footage of Philando slumped over, shirt stained with bright red blood, emerged on Facebook last week, just one day after Alton Sterling was killed by a police officer in Baton Rouge, Louisiana for selling CDs. I thought the video was a cruel joke, some sort of reenactment of a police shooting to get views. But when I saw a little girl in the backseat, wearing fresh cornrows with beads – the uniform of black girlhood that only Black mamas can create – I knew it was all too real. I won’t forget the sound of Daeanna’s voice saying, “It’s okay Mom, I’m here,” as her mother, Diamond Reynolds, screamed, realizing Philando was dead. I won’t forget the picture her mother painted of how she and Daeanna were separated for hours without food after being taken into police custody for committing the “crime” of witnessing their loved one’s death. At four, Daeanna had witnessed the murder of a father figure, comforted her mother over his death and been exiled from her mother’s arms all in the same day. This level of trauma inflicted on a small child is nothing short of state-sanctioned violence. In light of Black women’s position on the margins of society, Daeanna’s treatment after Philando’s murder probably won’t be the last time she’s seen as subhuman while exerting superhuman strength. She’s being called the bravest child in the world, but that’s not a compliment. A four-year old should never have to be brave due to police terror. Our protests and rallies can no longer be singularly driven by the names of Black men murdered by state agents or their allies. When our cis and trans sisters like Sandra Bland, Rekia Boyd and Mya Hall don’t also anchor our will to fight a white supremacist system, what can we expect of our children’s stories who also suffer immeasurable loss when a loved one is killed by police? Unfortunately, Daeanna isn’t the only small child who recently faced unimaginable trauma as a result of a violent interaction with police. Reports have emerged from recently released security footage that Delrawn Small was killed by an off duty NYPD officer within a second of approaching his car to complain about the officer’s driving. Like Philando, his girlfriend and their three daughters were watching from the backseat when he took his last breath. Brain science and research on child development are clear that a small child exposed to violence, like the murder of a loved one before their eyes, can have negative effects on their physical and mental well-being for a lifetime. Poor social, emotional and cognitive functioning are real manifestations of this form of trauma. Our marches must lift up Black children’s experiences living in a society where the police perpetuate violence and their parents can’t protect them from a law enforcement officer with a gun. Our protests must lift up the emotional turmoil of black childhood and call for an end to the pipeline to their oppression. Our rallies must lift up the unique experiences of Black women and girls and give their experiences the same weight as our male counterparts. It is our duty to fight for our freedom. It is our duty to save our girls. Tashira Halyard is a creative, activist and lawyer living in Washington, DC where she fights for brighter futures for families and children of color. On her personal blog, Politics & Fashion, she explores the intersection of beauty, Black womanhood and social justice. She loves a good trail mix, white wine and independent bookstore.